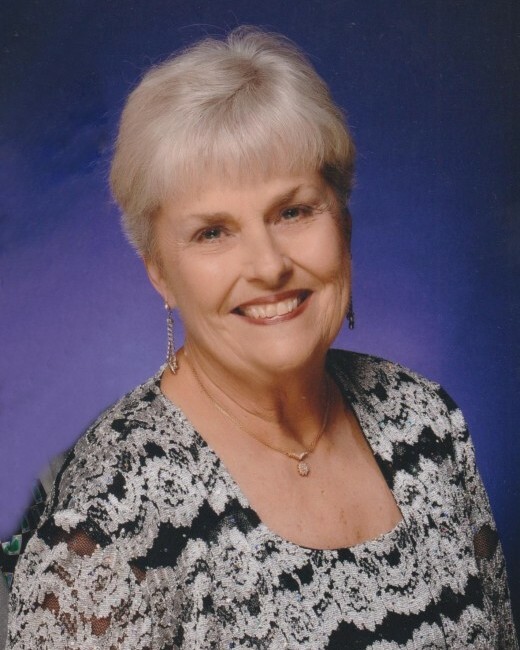 Marilyn Kay Pearcy (nee Anderson), 72, peacefully went home to be with the Lord on April 7, 2019 at Victoria Comfort Homes in Harlingen. She was a resident of Laguna Vista for 41 years. Marilyn was born August 8, 1946, in Harlingen, Texas, to Howard and Laverne Anderson. She attended Harlingen High School, graduating in 1964. She then attended Baylor University and graduated from the Texas A&I University, Kingsville, in 1968 with a major in education. She was a teacher in Dallas before returning home to work in the family grocery store, Andy's Model Market in Harlingen. In 1978, Marilyn married Adelaido (Lelo) Sanchez. Together they managed Value Fest Grocery Store in Port Isabel and subsequently, the Blue Marlin Grocery Store on South Padre Island. Marilyn continued to work after Adelaido's death in 1999, choosing to retire from the grocery business in 2001. In 2002, Marilyn married Richard Pearcy. Inseparable for 16 years, Marilyn and Richard would pursue travel both throughout the United States and abroad. Marilyn's sense of adventure led her to pursue every interesting road, searching for the joys of discovery. She delighted in taking friends to new places and introducing them to the beauty of God's world and the wonders of man's art and architecture. Marilyn and Richard maintained a rigorous travel schedule throughout their life together that became both the envy and amazement of their friends and family. Along the way, they would generously include mission work and disaster rebuild projects, most recently with the Nomads. Marilyn also enjoyed knitting, crocheting, and hiking. She combined her hobbies of travel, adventure, and photography with her passion for volunteerism and philanthropy. Helpful to friends in whatever way best served them, she embodied kindness, optimism, and a great joy for living life to the fullest. She was truly a strong woman--body, mind, and spirit. Marilyn believed in justice, education, and hard work. She was the voice of reason and the inspiration for right living before the Lord for many of us. Marilyn was preceded in death by her parents and husband, Adelaido (Lelo) Sanchez. She is survived by her loving husband, Richard Pearcy. She is also survived by sister, Carolyn and husband, David Hennessee of San Antonio, her step-children (from her marriage to Lelo), Adelaido Sanchez, Jr., Lisa Sanchez, and their children Darren Sanchez, Anthony, Brittany and Joshua Garza. She is also survived by nephews, Tim and Steve Hennessee and their families. In addition, Marilyn is survived by her step-children from her marriage to Richard, who are James Pearcy, Minnie Pearcy, Janet Pearcy, and John and Carla Pearcy, as well as, grandchildren, Kelsey and Brittany Westbrook, Katherine, Elizabeth, Christine, Sophia and Julia Pearcy. Visitation hours will be held from 6:00 PM to 8:00 PM, Friday, April 12, 2019 at Buck Ashcraft Funeral Home with the family present. A celebration of Marilyn's life will be held at Buck Ashcraft Funeral Home, 2:00 PM, Saturday, April 13, 2019 with burial to follow at Mont Meta Memorial Park. Serving as pallbearers will be Gary Meschi, Dan Smith, James Herrera, Russell Morris, Omar Martinez, and Adelaido Sanchez, Jr. In lieu of flowers the family request that donations be made to St. Jude Children's Hospital, 501 St. Jude Place, Memphis, TN 38105 in her honor. The family would like to thank Harlingen Medical Center and Victoria Comfort House for the excellent and compassionate care received while there.